Star Wars fans are anxiously awaiting the arrival of the newest Star Wars movie to release on the big screen and there is less than a month to wait! Just before Christmas, Rogue One, will hit the theater on December 16th. Our Star Wars fan family is sure to be at the theater to see the movie together like we were last year when The Force Awakens was released. 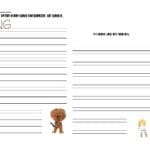 If you have Star Wars fans in your home, you likely hear quotes from their favorite movie or characters often. 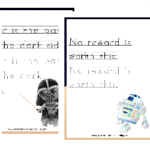 Often in our home you’ll hear my husband and I quote Yoda, “Do or do not there is no try.” to our kids when they try to tell us they can’t do something. 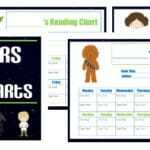 It is because of our family’s love for Star Wars quotes that I created this new printable! 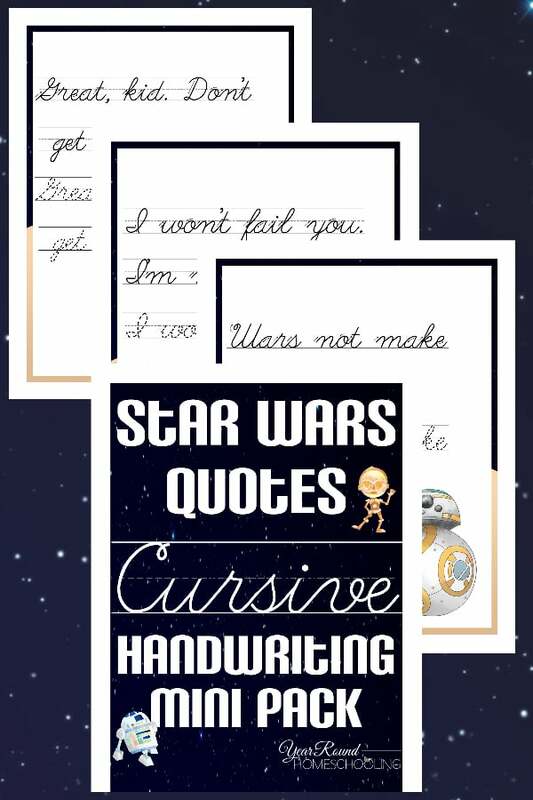 Inside this fun Star Wars Quotes Cursive Handwriting Mini Pack you’ll find 10 quotes from Star Wars movies for your kids to practice their handwriting! 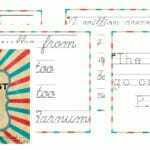 Each quote is featured in both a practice font and a teaching font to help you student form their letters properly. 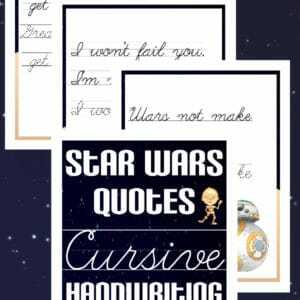 To receive this Star Wars Quotes Cursive Handwriting Mini Pack you MUST sign up to receive our emails below. 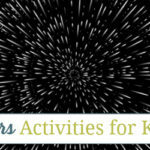 If you’re viewing this post in your email, please click here to access the download form. 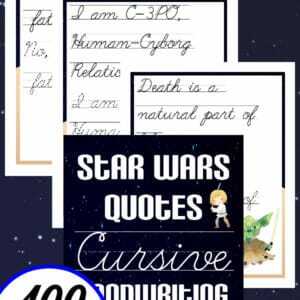 For even more Star Wars cursive handwriting fun get the full Star Wars Quotes Cursive Handwriting Pack featuring 100 quotes from your favorite Star Wars characters! Misty I tried the email twice, it never came. 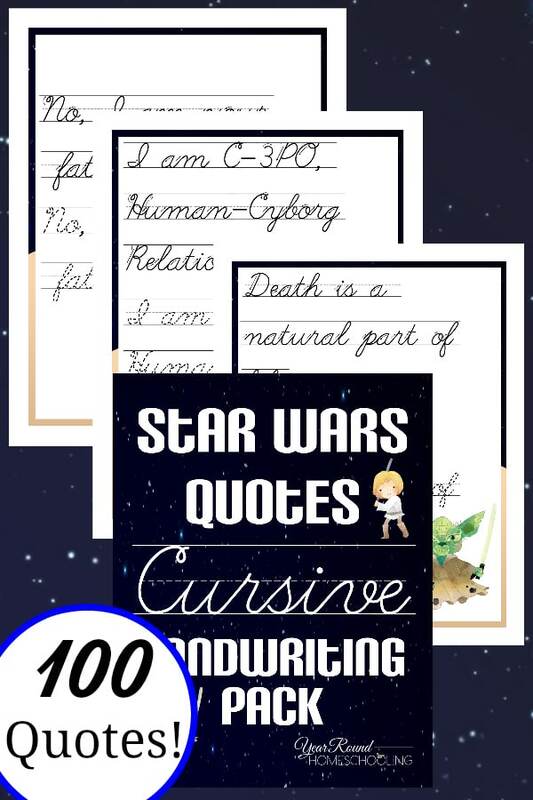 My son will love the star wars cursive Mini pack! I have not gotten the download email & cannot access the worksheets. Please email them to me.